Found 21 blog entries for February 2011. Friday, February 25th, 2011 at 3:27pm. Thursday, February 24th, 2011 at 11:45am. Mortgage loan applications increased 13.2 percent on a seasonally adjusted basis compared to one week earlier, according to the Mortgage Bankers Association’s Weekly Mortgage Applications survey. The number of refinancings increased the most: The Refinance Index increased 17.8 percent compared to the previous week. Overall, the refinance share of mortgage activity increased to 65.7 percent of total applications. Meanwhile, the Purchase Index increased 5.1 percent compared to the week prior. 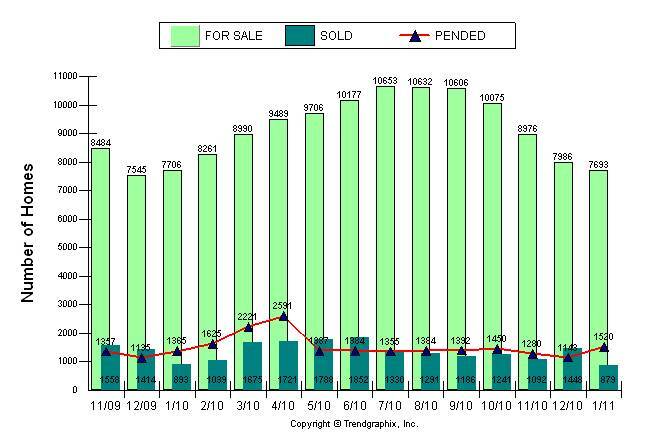 Home sales rise. 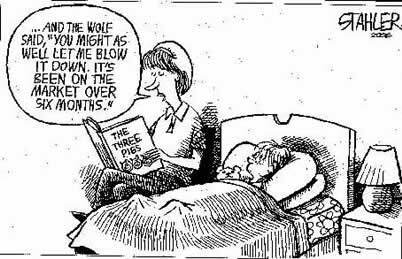 Price slump. Wednesday, February 23rd, 2011 at 1:28pm. WASHINGTON (Reuters) – Sales of previously owned homes set their highest rate in eight months in January, but more than a third of purchases were distressed properties and prices hit a nearly nine-year low. The National Association of Realtors said on Wednesday existing homes sales climbed 2.7 percent to an annual rate of 5.36 million units, marking the third straight month of gains. Economists had expected a fall to a 5.24 million-unit pace. 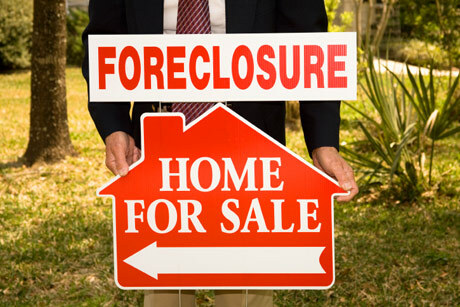 Foreclosures and short sales typically occur below market value and their large share of overall sales suggested further price declines ahead. "What this shows is that there is will be an ongoing adjustment to prices to the downside. Housing fundamentals are still weak,"
Tuesday, February 22nd, 2011 at 6:50am. WASHINGTON – Home prices in a majority of major U.S. cities tracked by a private trade group have fallen to their lowest levels since the housing bubble burst. Monday, February 21st, 2011 at 4:25pm. 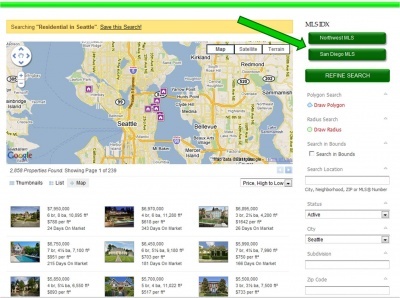 A 12 month look at housing trends for King County including Seattle. Sunday, February 20th, 2011 at 9:44am. Friday, February 18th, 2011 at 12:25pm. 1. Watch for outlandish claims. "Eliminate your debt!" and "We guarantee to stop the auction" are too good to be true. If it sounds like an easy way out, don’t believe it, the FTC warns. 2. Don't pay up-front costs. Consumer investigator Dale Cardwell warns home owners to beware of any deal that requires you to pay up-front fees. Cardwell says you shouldn’t pay any business or person who promises to modify your loan because only your lender can do that. Tuesday, February 15th, 2011 at 10:27am. NEW YORK (CNNMoney) -- President Obama's plan to limit two popular deductions for wealthy taxpayers will hit a wall of resistance from entrenched special interests. The president once again proposed in his budget to curtail high-income earners' tax deduction for mortgage interest payments and charitable contributions. Under his proposal, taxpayers in the 33% and 35% tax brackets would only be able to deduct their contributions and mortgage interest payments at the 28% rate. It would affect those with taxable income of $250,000 and up and bring in $321 billion over 10 years, according to the White House. Monday, February 14th, 2011 at 1:40pm. 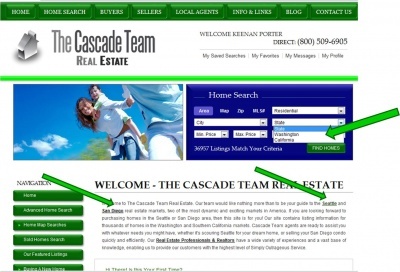 Visitors to www.TheCascadeTeam.com will now have the option to select either Washington State or the San Diego area of Southern California from The Cascade Team website. We have Full Service agents ready to assist Sellers and Buyers in both markets! Monday, February 14th, 2011 at 11:40am. Three out of four home owners — or 78 percent — say their homes are the best investment they ever made, according to Trulia.com’s biannual American Dream survey, which has tracked attitudes toward home ownership since 2009. Despite foreclosures and underwater homes continuing to batter the real estate market, about 70 percent of Americans say they still view home ownership as being part of their American Dream, according to the survey. “Contrary to popular belief, the American Dream of homeownership has not turned into an American nightmare,” says Pete Flint, CEO of Trulia. The millennial generation is expected to drive the housing recovery. 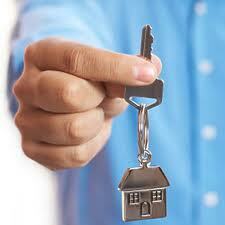 Eighty-eight percent of 18-34 year old renters say they want to be home owners one day, according to the survey.